Sea Buckthorn is a traditional herbal remedy that may have tremendous benefits for cancer treatment. As cancer patients increasingly seek out natural and holistic means of treatment, most hospitals still prescribe one drastic, last-resort treatment for many cancers: chemotherapy. This technique of killing cancer cells using cytotoxic medication and other methods directly attacks cancer cells, inhibiting their ability to replicate (one of the unique qualities of cancer cells is the cells’ ability to replicate and grow with sometimes astonishing speed). Sea Buckthorn may be of some help to cancer patients as they deal with the side effects of chemotherapy. Let’s take a brief moment to learn about chemotherapy’s effect on cancer, and how sea buckthorn as a traditional remedy may be of some use to cancer patients. Chemo was discovered by accident during World War 2, during the first uses of biological warfare. An air raid in Italy damaged a war boat’s cargo, which contained mustard gas. Over 1,000 people were exposed to the poison gas. Autopsies showed that the mustard gas ceased the division of some cells that were similar to cancer cells. American pharmacologists tested mustard gas on lymphoma, and found that it reduced some masses. Later on in the fifties, Harvard Medical School’s Sidney Farber experimented with folic acid treatment on leukemia patients, and found limited success. As chemotherapy evolved, treatment essentially focused on creating drugs that would directly attack and destroy cancer cells. 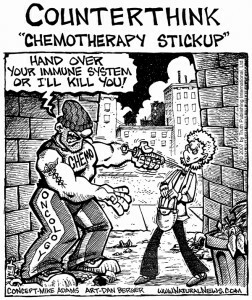 Unfortunately, the nature of chemotherapy drugs means that the potential is there to attack healthy cells in the body as well. This is where Sea Buckthorn comes in. 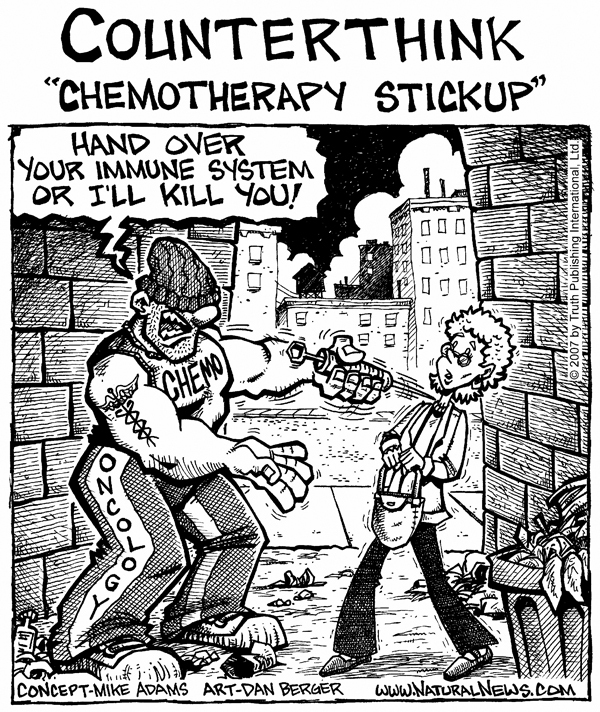 Chemotherapy is, essentially, the use of poison in an attempt to cure cancer in the body. As the patient ingests cytotoxic chemicals, those chemicals tend to wreak havoc on cells throughout the patient’s body. In most cases cancer patients die not from the cancer itself, but from the body’s inability to handle treatment. Preparing the body with a proper nutritional intake is essential. Chemotherapy ravages the body’s immune system; Sea Buckthorn may help heal the body following cytotoxic treatment. Cancer patients may want to consider the potential healing properties of this traditional remedy during chemotherapy treatments. Helpful Nutrients – Sea Buckthorn contains unusually large amounts of flavanoids that may help in cancer therapy, especially radiation damage. Seed oil extracted from this plant has been discovered to increase immunity in patients, helping to keep the body safe from ancillary disease attacks during healing from chemo. Read more about sea buckthorn as a natural anti-radiant. Potential Side Effects – Scientists have performed a number of studies on this herb, especially as it relates to cancer treatment. Its anti-inflammatory properties and skin healing side effects may bode well for the overall health of recovering cancer patients. Read about sea buckthorn’s excellent anti-inflammatory properties. Additional Benefits This remedy is uniquely loaded with antioxidants that help fight the spread of free radicals, and may help the body to flush out dead or dying cells. Increased overall cardiovascular health and reduced inflammation may contribute to greater ability to withstand chemotherapy and cancer treatment. 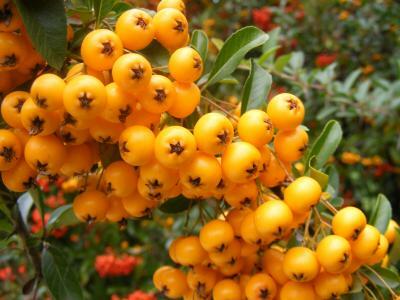 Learn more about sea buckthorn’s impressive antioxidants here. Sea Buckthorn may indeed be a great support for cancer patients. However, I have read in Dr Mercola’s website that it can be unsuitable for those who have gastro-intestinal problems. I am caring for a pancreatic duct carcinoma patient who has completed Chemo and is now going through chemo (oral) radiation therapy. I am giving her Spirolina/Chlorella and Water Cress in diet. Besides, Nigella Saativa and Safforon and Tumeric with Piperine plus Quercetin. All this is having a good synergetic effect but oral chemo and antibiotic which is being given is still causing weakness. Note: Please keep the name and e-mail private. We will send you a private message to keep your name and email private. You should first find a product that has both fruit and seed oil blended in it. Simply follow the dosage on the bottle which may vary by product. There is no need to take more than the recommended dosage of sea buckthorn oil. Had cancer 2014. Surgery, December small tumor throat. About 40 Radiation and 20 Chemo in following couple of months. So far in following time, 4 PET CT and no return of those cells. Four problem areas are, highly accelerated R Arthritis, now a gout patient, chronic fatigue muscle weakness and loss of part of voice after Rad and chemo. Pretty careful diet, high quality vitamins and supplements. Any other help to combat the highly accelerated arthritis, gout and muscle weakness and preiodic cramping would be appreciated. As I mentioned I am on a large grouping if supplements high quality concentrated. I am thankful for the intervention and follow on care at UCLA, Cedars and USC. Generally speaking, most sea buckthorn oil supplements really only require 1-2 servings/doses per day. We recommend following the serving recommendations on the product your purchasing. Using SeaBuckthorn Blend from Dynamic Blend. Question…can I couple this drinkable form with a more concentrated form to be additive? We just checked out the brand. Yes, looks like you can add other things to the drink as it appears to be just a type of juice mix.